Fernandez Honda San Antonio is honored to present a wonderful example of pure vehicle design... this 2013 Honda CR-V EX-L only has 99,625mi on it and could potentially be the vehicle of your dreams! This Honda CR-V EX-L defines excellence in an SUV. It has the convenience of limitless boundaries paired with city sophistication. Outstanding fuel economy and sleek styling are two great reasons to consider this Honda CR-V. This is about the time when you're saying it is too good to be true, and let us be the one's to tell you, it is absolutely true. More information about the 2013 Honda CR-V: Honda has a successful formula for their compact SUV and they see little reason to deviate too much. All CR-Vs come with a capable 4-cylinder engine, a cleverly designed interior and compact exterior dimensions. This is all wrapped up in attractively designed sheet metal and sold with available all-wheel drive at a competitive price. While some competitors have allowed their vehicles to balloon in size, features and price, Honda has steadfastly stuck to the winning formula that has made every generation of CR-V a success. This model sets itself apart with Practical and well-equipped with available all-wheel-drive. We are excited to offer this 2017 Honda Civic Sedan. Mercedes-Benz of Augusta, 3061 Washington Road Augusta, GA 30909 P:706-860-1111 or 800-634-7038. We provide financing through multiple lending agencies for customers with good or challenged credit. Please visit our website for more information www.mbofaugusta.com and take a look at the CarFax report for FREE! To make an appointment to view and test drive this car please call. We look forward to doing business with you! This Honda includes: MODERN STEEL METALLIC BLACK, CLOTH SEAT TRIM *Note - For third party subscriptions or services, please contact the dealer for more information. * This vehicle is loaded with great features, plus it comes with the CARFAX BuyBack Guarantee. The CARFAX report for this 2017 Honda Civic Sedan EX highlights that it's a One-Owner vehicle, and for good reason. A One-Owner vehicle gives you the feel of owning a new vehicle without paying the new car price. The 2017 Honda offers compelling fuel-efficiency along with great value. You will no longer feel the need to repeatedly fill up this Honda Civic Sedan EX's gas tank, in part because of it's superb EPA rating. Clean interior? How about flawless. This Honda Civic Sedan looks like has never been used. Fast, yet nimble, this highly refined automobile will turn heads wherever you go, provided of course, they even see you. They say beauty is on the inside and once you experience the unbelievable options in this Honda Civic Sedan, you'll agree that this is one beautiful vehicle. The Civic has topped best compact car lists for decades. With its consistent balance of quality, performance and practicality, it should come as no surprise. This vehicle has extensive standard equipment, a high-quality stylish interior and a new powertrain lineup. The Civic's quality and performance comes very accessible. * roomy interior * extensive safety options * Responsive and efficient drivetrains * standard high-tech features You can reach us at 706-860-1111 or 800-634-7038 or by visiting us online at mbofaugusta.com. We look forward to seeing you soon! Please call us for more information. We are excited to offer this 2016 Honda CR-V. CARFAX BuyBack Guarantee is reassurance that any major issues with this vehicle will show on CARFAX report. This SUV gives you versatility, style and comfort all in one vehicle. This 2016 Honda CR-V has great acceleration and wonderful styling without sacrificing exceptional fuel economy. More information about the 2016 Honda CR-V: Honda has a successful formula for their compact SUV and they see little reason to deviate too much. All CR-Vs come with a capable 4-cylinder engine, a cleverly designed interior and compact exterior dimensions. This is all wrapped up in attractively designed sheet metal and sold with available all-wheel drive at a competitive price. While some competitors have allowed their vehicles to balloon in size, features and price, Honda has steadfastly stuck to the winning formula that has made every generation of CR-V a success. This model sets itself apart with available all-wheel-drive., Practical, and well-equipped We look forward to seeing you soon! Please call us for more information. This 2015 Honda CR-V EX is offered to you for sale by Fernandez Honda San Antonio. This Honda CR-V EX defines excellence in an SUV. It has the convenience of limitless boundaries paired with city sophistication. The Honda CR-V EX is economically and environmentally smart. Honda clearly delivers on its promise to provide a fuel-efficient vehicle that has the great qualities you need in a vehicle. This low mileage Honda CR-V has barely been touched. It's the next best thing to buying new. More information about the 2015 Honda CR-V: Honda has a successful formula for their compact SUV and they see little reason to deviate too much. All CR-Vs come with a capable 4-cylinder engine, a cleverly designed interior and compact exterior dimensions. This is all wrapped up in attractively designed sheet metal and sold with available all-wheel drive at a competitive price. While some competitors have allowed their vehicles to balloon in size, features and price, Honda has steadfastly stuck to the winning formula that has made every generation of CR-V a success. Strengths of this model include well-equipped, Practical, and available all-wheel-drive. 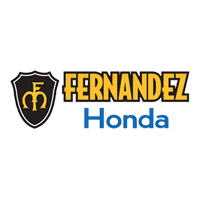 Thank you for your interest in one of Fernandez Honda San Antonio's online offerings. Please continue for more information regarding this 2018 Honda Accord Sedan LX 1.5T with 8,291mi. This wonderfully fuel-efficient vehicle offers a supple ride, quick acceleration and superior styling without sacrificing MPGs. The quintessential Honda -- This Honda Accord Sedan LX 1.5T speaks volumes about its owner, about uncompromising individuality, a passion for driving and standards far above the ordinary. You can finally stop searching... You've found the one you've been looking for. A truly breathtaking example of pure vehicle design achievement...this is the vehicle of your dreams! Contact Fernandez Honda San Antonio today for information on dozens of vehicles like this 2017 Honda CR-V Touring. This vehicle is loaded with great features, plus it comes with the CARFAX BuyBack Guarantee. This Honda CR-V Touring is an incredibly versatile vehicle that is a must have for any family. Outstanding fuel economy and sleek styling are two great reasons to consider this Honda CR-V. This 2017 Honda CR-V has such low mileage it has been parked more than driven.